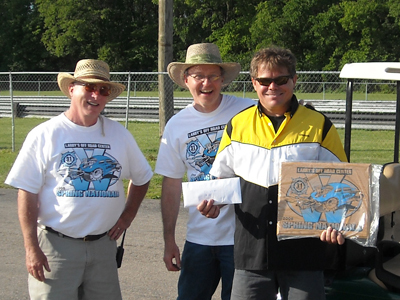 The Harmon Racing crew showed their perserverence at Kilkare Dragway in Xenia, OH. 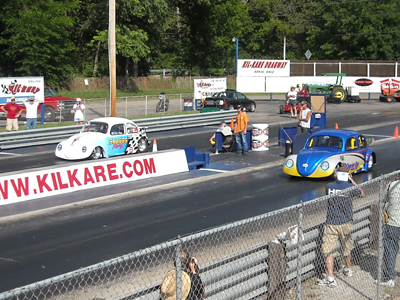 In the first round of eliminations, the Quarter Toy 3 experienced major transmission problems, and could not complete the first pass. This would have sent many teams back home. But the Harmon racing crew wasn't ready to head for the stands just yet. With the help of a few friends, Damon and his trusty crew, managed to swap out the transmission, get the car back together, and make it back to the line in time for the final round of qualifications. 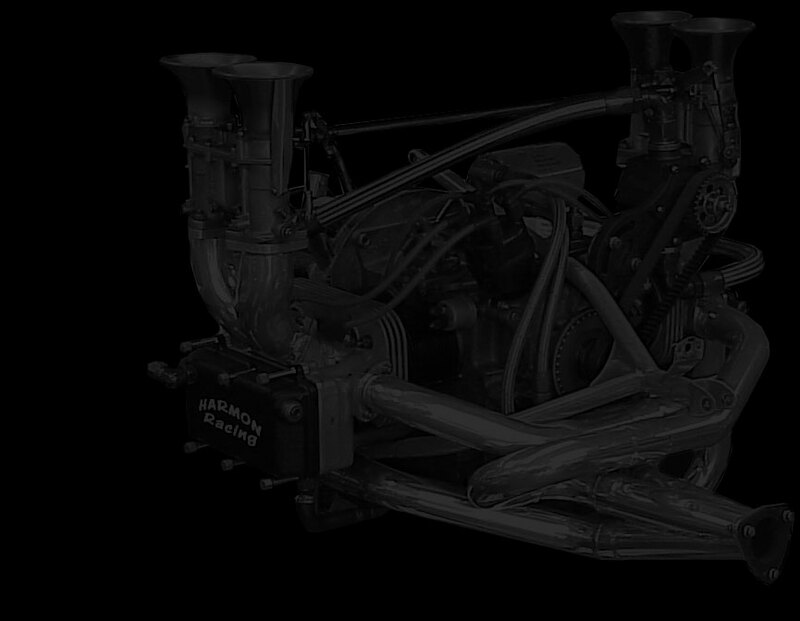 And in true Harmon Racing fashion, they hit the ground running, as QT3 on its maiden voyage with the new transmission qualified with a 6.19 et just .01 shy of the first place time of 6.18 seconds. 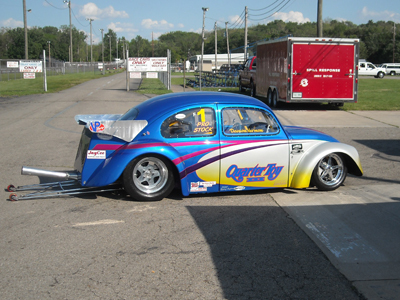 On the car's second successful pass, Damon ran a 6.16 to beat Gene Collier's blue Ghia in the first round of eliminations. Then in round two Damon faced long time friend and competitor Olliver Frey. Olly and Damon both ran very fast times with Olly having a slight advantage at 6.19 vs Damon's 6.21, but a near perfect reaction time of .4289 allowed Damon to edge out Olly who's time was just a hair slower at .4581 seconds. In the final, it was Damon vs Warren Skaggs. Damon ran a 6.21 to beat Warren's time of 6.28 seconds and bring home another victory for Harmon Racing. Damon Harmon is the Current 2008 ECPRA points leader. Damon Harmon is the 2007 TXPRA points champion.